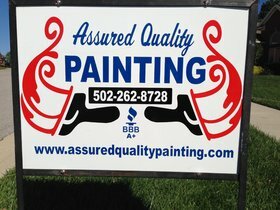 Providing first class painting for the Greater Louisville Metropolitan area. We use premium grade paint and materials. Thorough surface preparation is always performed to insure a good looking, long lasting job. We have over 30 years experience in the painting industry. References will be provided. Call (502) 262-8728 TODAY for a FREE Estimate!